Confession: I am scheduling this post because I'm afraid I would forget everything that I've asked Mr.Yang I-Deun about. But do read, he's such a talented and humble man! 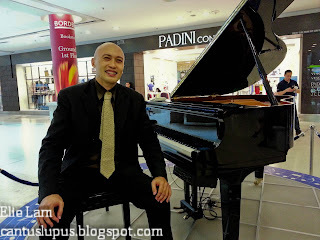 If you're a frequent patron of The Curve, Mutiara Damansara in the weekends, you would probably have seen a tall man in a suit simply moving and swaying away to the sounds that his piano makes. This man is no other than Yang I-Deun (pronounce Eden in one breath with no pause as the hyphen suggests), the man who enjoys the music he plays and even more, enjoys the company of the people who loves what he does on a weekly basis. I've posted his videos on my Youtube channel and have even shared them here in my blog a few times so I do hope you recognize him! 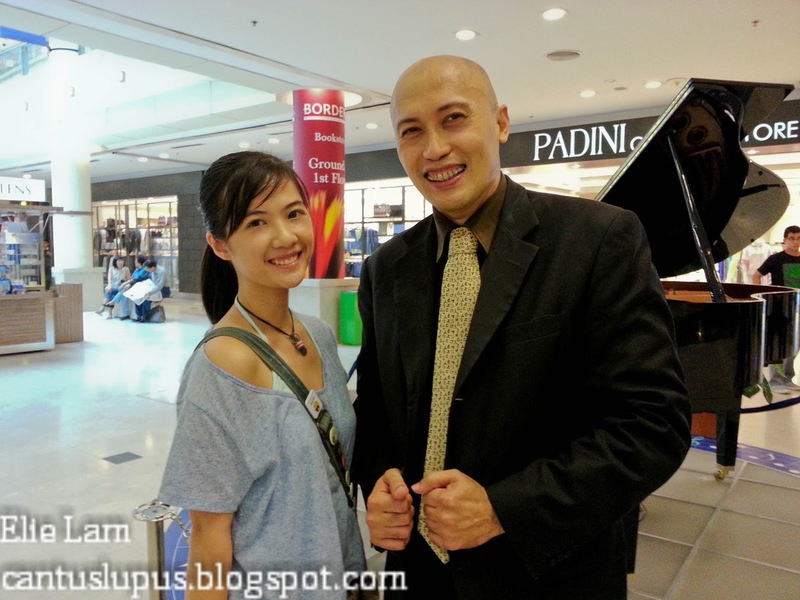 Friendly, humble and an extremely talented pianist. 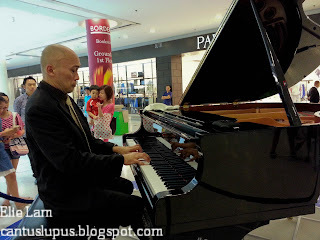 Having started on piano lessons since the age of 6 and a half, he tells me about his little start on the hatred of the piano only to develop a later enjoyment for it. 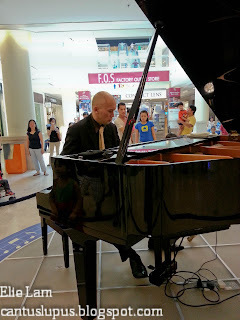 But it isn't easy as a performer especially when everyone expects nothing short of an amazing play, and that definitely puts pianists off at a point because of the pressure to live up to the expectations of every eye out there. After 30 over years of interaction with this piece of instrument, he takes piano music to a higher level, bringing it into the 21st century and playing songs hailing from the west and of course, music from the east; be it oldies or new pop songs. While he tries to satisfy everyone's hunger for their different demands of music, he expresses that it is impossible for him to pick up everything but he does try to present them with his very best effort. A performance with all his heart and all he could give. Speaking quite a few languages with Mandarin and great English to boot, this Korean man probably isn't your typical kind of bully-able tourist. "I was brought in to replace a girl who used to play here and had a China doll haircut because she had to continue her studies but she never came back so they kept me here to play every week", Yang I-Deun says. Fact is, I'm very glad that they did because how else could we enjoy the contemporary twist in piano music? 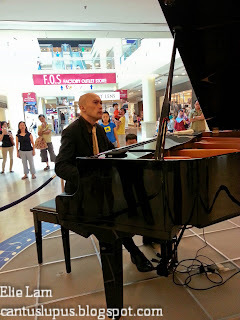 In fact, I've never once seen a pianist who had so much of body movements and gestures while he performed a piece...WITHOUT the music sheet! Don't believe me? And a pure bliss for the love of music. 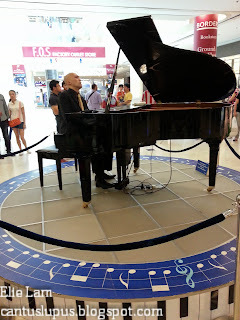 My parents are secretly mini fans of his, insisting on watching him play whenever we happen to pop-by at The Curve in the weekends with my grandmother. They may say that it is for my grandmother to have a seat and rest her legs but I know for sure that it's just an excuse for them to sit and listen to Yang I-Deun perform! Most of the weeks, we would listen to him perform and clap for his every piece only to realize we could actually make requests that and he would let us know if he could actually play it! And to make things cuter, if he can't play it, he would promise to learn it up and play it the next time...if possible. I feel blessed that I had managed to snag just 15 minutes of his time today to have a short chat with him, knowing so much about this simple and humble man who bows to thank every person who cheers for him at the end of every song. It was impromptu, but he never stopped me from questioning him; word by word. In fact, he even took to shaking my hand and my mother's hand, asking us for our name and personally thanking us for our weekly support. This is Mr.Yang I-Deun. 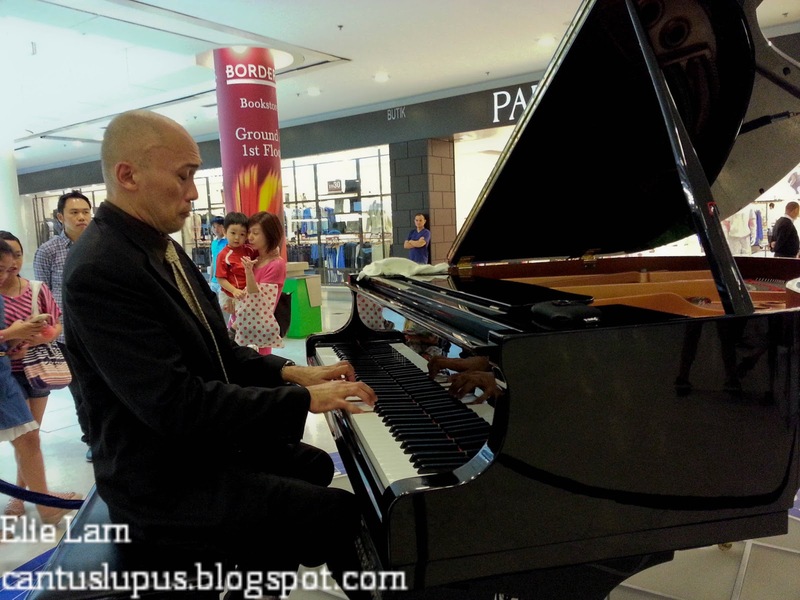 The pianist who plays at The Curve. Thank you for taking the time to have a short chat with me even when it was your break time. You are a wonderful performer, one with a talent like no other. If you're curious about the ways he plays, here are two videos for you to enjoy! Again, please remember that these are songs that he is playing by heart, not by reading off a music sheet. More videos can be found in my neglected YouTube channel. This is his rendition of 初君好, a song by Hong Kong singer/actor Julian Cheung. According to Mr.Yang I-Deun, it is called "Smile Always" in Korea. Gangnam Style by PSY ala Yang I-Deun. Check out how he plays towards the ending. This performance has been dedicated to a family who has supported him for 3 consecutive weeks without fail and has finally requested for Gangnam Style. "It's a very taxing song to play on the piano", he says. And we can all see why! Yang I-Deun performs every Saturday and Sunday at The Curve, Mutiara Damansara from 12pm to 1pm, 2pm to 3pm and 4pm to 5pm. The piano is located in front of Padini Concept Store and vertically across McDonalds. He's worth your hour to watch. Trust me. Thanks for your compliment, The Yum List! It's definitely sad if people just walk pass Mr. Yang I-Deun amidst his amazing music. It's such a wonderful sound; his piano and his talent is just so unspoken yet beautiful!